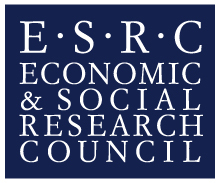 Crossing the Mediterranean Sea by Boat is an ESRC-funded research project led by the University of Warwick. The project has undertaken over 250 in-depth qualitative interviews with people who have entered the European Union, or who are contemplating making the journey, by travelling across the Mediterranean Sea without authorisation. The project has gathered these stories in order to enhance understanding of the migratory journey and experience, and to assesses the impact of policy developments on those that these affect most directly: refugees and migrants themselves. This interactive story map allows audiences both to view complex and fragmented migratory journeys visually, while also reading about the experiences of people making the journey. You can click on one of our key arrival points to see stories of people that the research team interviewed at each site. Once you enter a story you can click on the “next” button at the bottom of the screen to follow an individual journey in detail. Please note that some information shared may not be suitable for children – the stories are clearly marked at the beginning where this is the case. You can find further information about the Crossing the Mediterranean by Boat project at warwick.ac.uk/crossingthemed, including project outputs. We would greatly value your responses to this mapping project – please share these on our website here	if you have feedback for us.